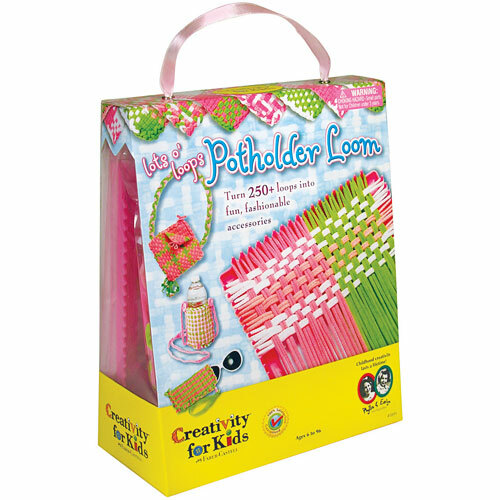 Turn 250+ loops into fun and fashionable accessories. 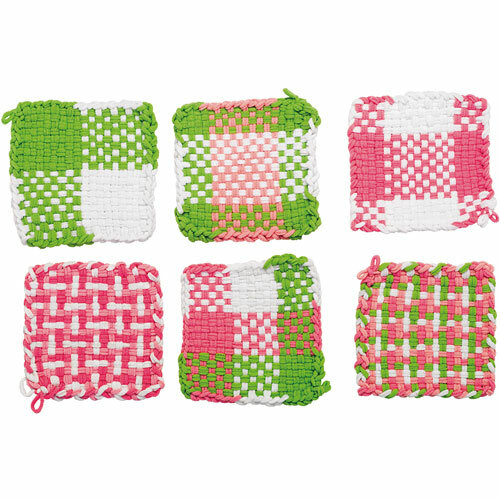 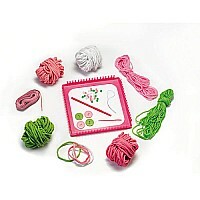 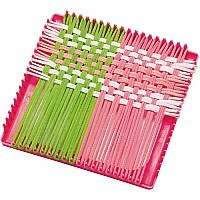 Kit includes loom, yarn, ribbon, crochet hook and buttons. 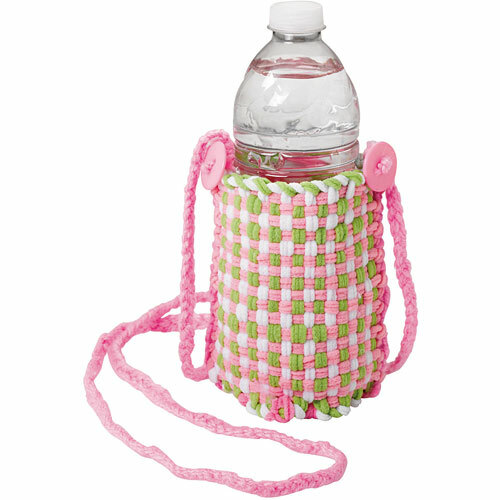 Make a water bottle holder, purse, notebook cover, sunglass case, a cup holder, -whatever you can dream up. Measures approximately: 4.00 x 8.25 x 10.25 inches..